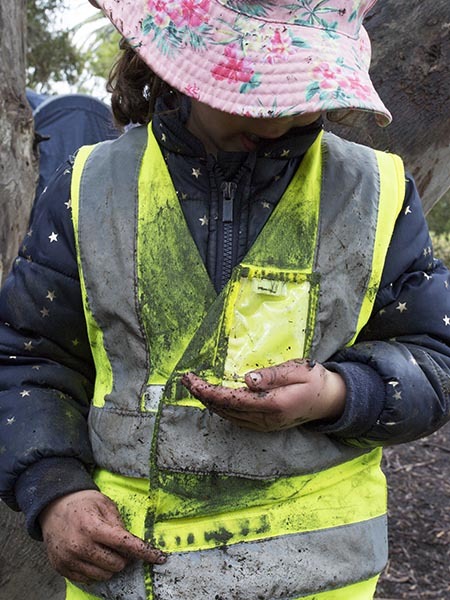 Our bush kinder groups gather on the banks of the Merri Creek, the traditional land of the Wurundjeri People. Our program allows children to learn when immersed in nature. It creates a space where children can investigate, explore, take risks and connect with the natural environment. Bush kinder takes inspiration from forest schools in Norway, where there is no such thing as bad weather, just bad clothing. 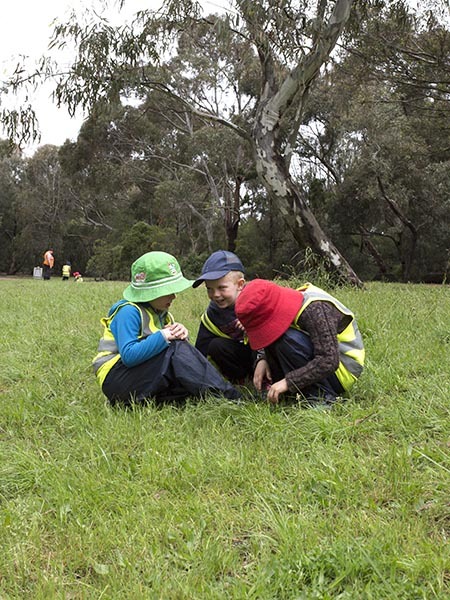 Our Educators aim to bring the same philosophy to the banks of the Merri Creek. Families choosing to enrol their child in this program will be responsible for dropping off and picking up their child from the bush kinder location on Winifred Street in Northcote. Volunteer helpers will also be essential throughout the year. American author Richard Louv writes about the concept that children are experiencing what he describes as ‘nature deficit’. In his book, The Nature Principle, Louv says, “The more high-tech we become, the more nature we need.” With a society of ever increasing ‘screen time’ and rise in obesity, playing in a natural outdoor environment has never been as crucial for young children as it is today. We aim to provide young children in our community the chance to be enriched by nature and to explore it freely and to welcome it as our teacher. 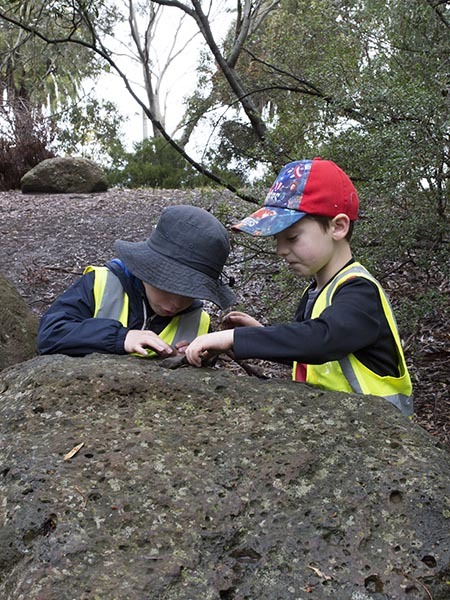 Our teachings incorporate a strong Aboriginal perspective as children explore the bush kinder setting. Learning in nature invigorates the senses, stimulates the imagination and nourishes wellbeing. In the winter months, everyone comes well rugged up in raincoats and puddle pants, essential for keeping children’s clothing dry. By building cubby houses, climbing trees, splashing in puddles and playing games, the children are learning with their whole bodies. Batman Park Kindergarten successfully piloted the bush kinder program in one of the four-year-old kindergarten groups in 2013. Our experienced Educators worked tirelessly to establish this program with support from the Committee of Management. When designing our bush kinder program, we also received professional guidance from Westgarth Kindergarten, who commenced their bush kinder program in 2011. We are very fortunate to have the beautiful Merri Creek as our bush kinder site, with its wildlife and changing seasons, its native gum trees and mossy rocks. This special setting offers the chance of endless discovery. The local Darebin ranger, who provides ongoing support to us throughout the year, approved our bush kinder site. Bush kinder is one component of the overall weekly kinder program and will only be cancelled in times of extreme weather. Families will be promptly notified if a session cannot take place at the bush kinder site. Sessions are instead relocated to the South Room at kinder. For any queries about our bush kinder program, please email bushkinder@bpk.org.au or info@bpk.org.au.